Despite the short days and dreary weather, winter is a perfect time to visit Denmark with children. Copenhagen’s attractions are calmer than usual, so it’s great to stroll around a quiet museum and avoid the long queues at popular attractions. But make sure you wrap up warm when out exploring freezing but beautiful Copenhagen this winter. Whatever season you plan to visit the zoo, exhilarating experiences await you. 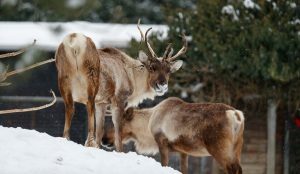 The zoo is open every day of the year and the experience of the visit changes with the seasons. The behaviour of the animals changes depending on the time of your visit, whether it is a beautiful winter’s day with snow on the ground, or a late summer evening. During the winter holidays in February, the zoo offers lots of different daily activities for the whole family. In the ZooLab you can learn more about the Arctic animals and create your own polar bear claw. And make sure you visit the Sami tent. Every day a bonfire is lit and you can learn about how the Nordic Sami people use bones, wool and skin to make clothes. 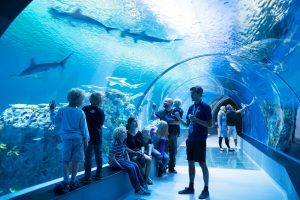 Combining stunning architecture with a unique location, The Blue Planet – The National Aquarium Denmark offers the chance to see some of the world’s most fascinating animal species up close. The aquarium endeavours to inspire guests to care for our beautiful blue planet through compelling storytelling. The aquarium – the largest of its kind in northern Europe – caters to all ages, offering both short bursts of adrenaline and lingering afterthoughts. Don’t miss the Ocean Aquarium, which contains 4 million litres of water and hundreds of sea creatures and sharks. Your heart may just skip a beat when you experience the speedy hammerhead sharks up close and personal. 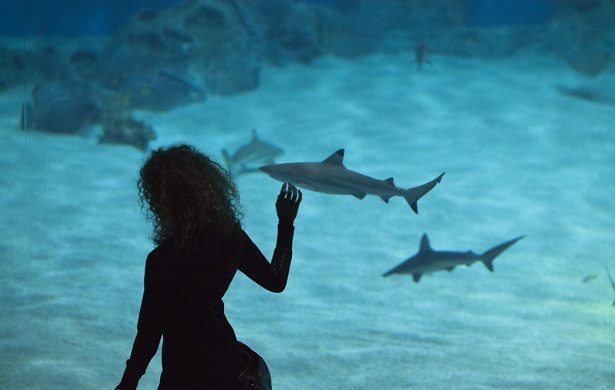 The encounter with the sharks starts with the story behind the big cities of the sea, the coral reefs, and then goes on to debunk the myths and mysteries that surround sharks. Designed by the internationally-renowned architecture company BIG (Bjarke Ingels Group), the award-winning M/S Maritime Museum of Denmark is built around an old dry dock. The architecture of the museum is iconic, guiding you through a continuous flow of spaces expanding across gently sloping floors at different levels before crossing the old dock. When you follow the sloping bridges down to the old dry dock and enter the underground museum you will experience a whole range of exhibitions telling the story of how Denmark was once one of the world’s leading shipping nations. However the museum is not only for adults. 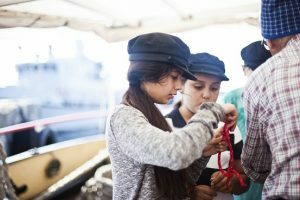 Interactive games, temporary sailor tattoo stands and fascinating exhibitions ensure that children of all ages can channel their inner- sailor and have a great time. The Maritime Museum is located at the UNESCO World Heritage site in Elsinore, just north of Copenhagen in a unique historical context adjacent to one of Denmark’s most important historical buildings, Kronborg Castle. The inside of the castle provides us with a great sense of Renaissance and baroque royal lifestyles. Kronborg offers a wide range of experiences. 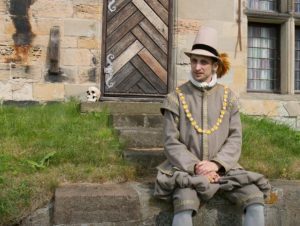 Via your mobile phone, you can see the castle through a dramatisation of the life of a convict in the fortress. Kronborg also offers lots of fun for children. Build your own castle in Lego bricks or climb around on a giant model of the castle. 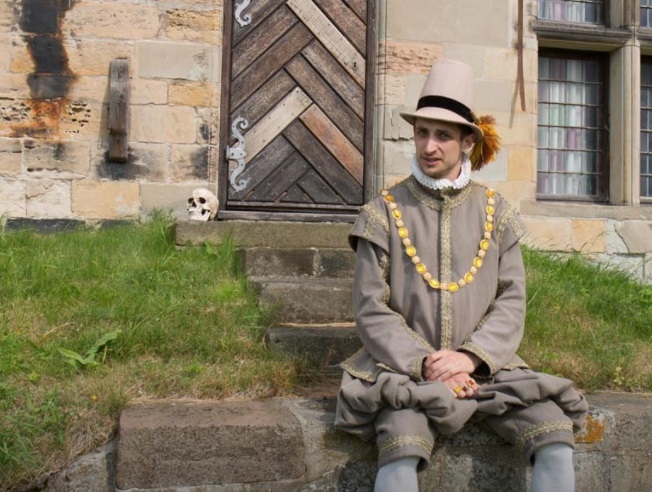 You can also take a tour of the castle in the company of Hamlet’s friend Horatio and hear the drama of ‘Hamlet’ as it could have played out in the famous Renaissance castle’s halls and corridors.